A Recap – Friends, Family, More Friends, More Family – and Fun! So much for travelogue, eh? I’ve tried. Truly I have. Sometimes making the memories is just more important than blogging about them. But I’ll see what I can do toward catching you up to where we are now. In our big traveling adventure. OK – we’re in the middle of a cornfield. 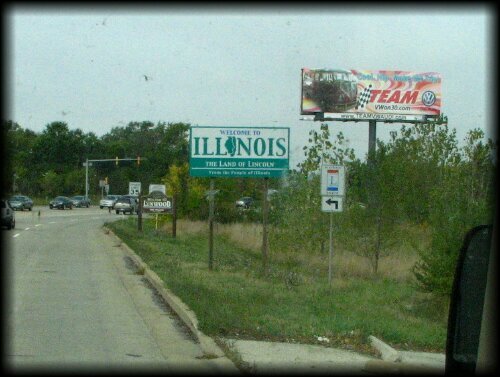 Somewhere in Illinois. And now you’re all caught up. Goodbye. Would I do that to you? With no pics? Ha. You could only hope I’d have that few words to say on any given day. Here’s Dear Hubby early on in our adventure. On the subway. Bound for downtown Toronto. You remember my earlier Toronto adventure, right? We got to see Baxter again. And I kissed his cute little head. Twice. And he didn’t even take my arm off. He likes me. I’m just sure of it. I hope he remembers me the next time he sees me. It could be a long time. Cathi and I printed and stitched more kaleidoscope stars too! But you’ll have to see those another time. I’m moving on in this adventure today. We had one last stop for guess what? 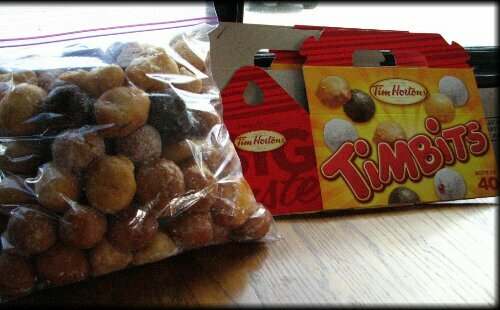 Timbits. 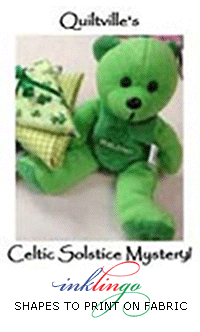 Kind of easy to guess with the picture right there, wasn’t it? I got a box of only my faves this time. 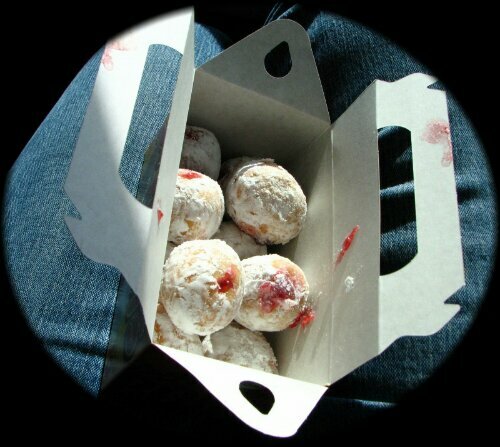 Powdered sugar with jelly centers. Yum. And I ate the whole box. I barely came up for air. But I also got two boxes of 40 to share with my friends on laundry day. They have plans in Texas. Laundry plans. Such fun friends I have. 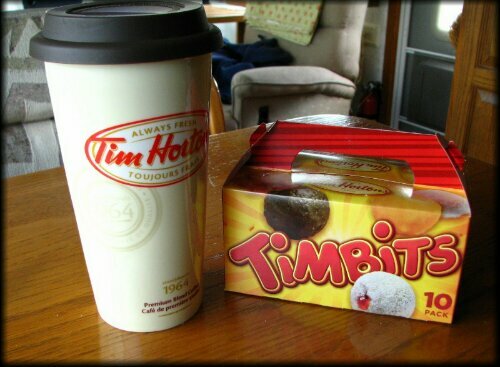 At least there will be Timbits. Hope they survive the freezer. 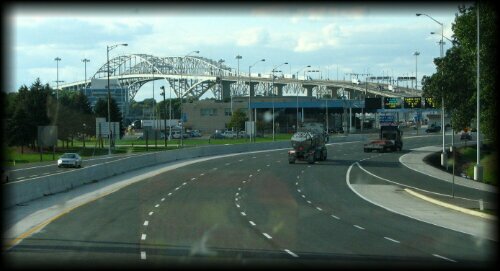 The bridge to Port Huron, Michigan. USA. Home. Old Glory never looked so good. And Dear Hubby didn’t even sweat a drop for this crossing. Although he got a bit nervous when I joked with the border guard about confiscating my food items. Seriously. All my limes, tomatoes and peppers? Really? I accused him of getting dinner for the guys at the border. I figured the limes probably originated in California anyway before I bought them in Canada. Silly border rules. But I didn’t argue. I just turned over the goods and we passed through. Good thing he didn’t ask for Timbits. He might have had a fight on his hands. 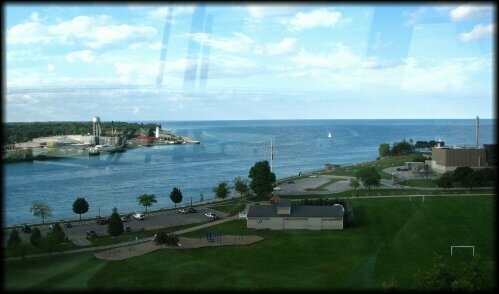 Lake Huron from the bridge. It was a beautiful day! From there we went to visit my cousin, Patricia. We stayed in a fabulous campground near her house. Had a really nice campfire one night with s’mores and banana boats. 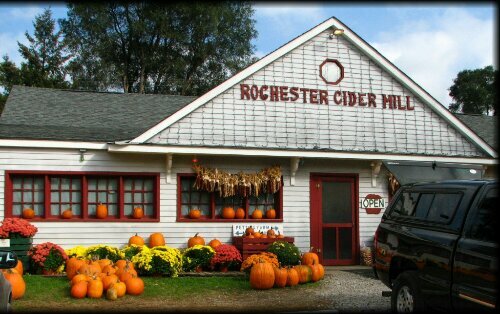 And we went to this Cider Mill! And ate a dozen apple donuts and drank apple cider and slushes. Or maybe that was just what I had. They were yummy! Here’s Dear Hubby and Cousin Patrish. They were all smiles because I shared the donuts with them. 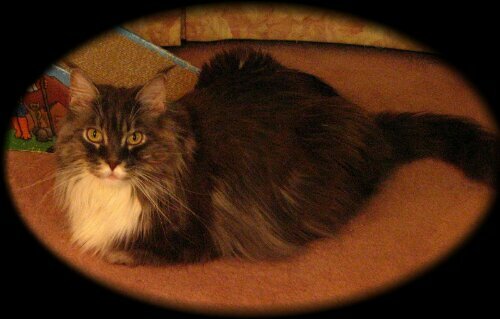 Cousin Patrish is a foster Mom for kitties. 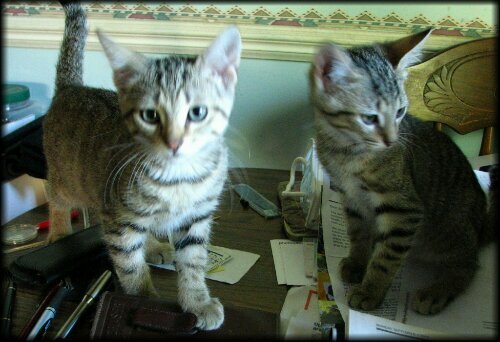 And she had these two little guys at her house. Oh, the fun I had playing with them! I wanted to bring them both home with me. They were only 3 months old and full of energy. Made me forget all about Dear Hubby’s “only two cats at a time” rule. And we do have Panda. I just couldn’t bring myself to break these two boys up. But I sure was tempted to hide them both in my basket. And I took about 48 pics of only these guys. They might just have to have their own blog post one day soon. Next it was on to Grand Rapids, Michigan and a visit with a dear friend. We hadn’t seen Dena for 10 years. And we had lots to catch up on. Until 2:00 a.m. I know that surprises all my friends in Texas. Not. They already know about my night owl status. 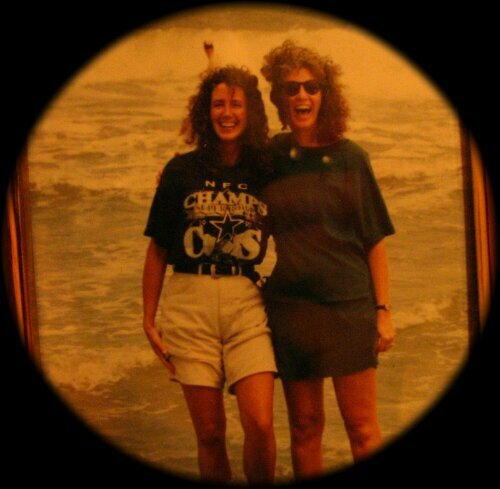 This is me and Dena in about 1996. A picture of a picture. Standing in the Atlantic Ocean on Tybee Island in Georgia. Memories. Of fun, fun times. This is Dena’s lovely home. She has beautiful flowers and a very well-kept lawn. I could do a whole post of just her fabulous yard and home. We sort of took over her driveway. And had a wonderful visit reliving old memories. Here we are now. Still smiling after all those years! We had fun catching up. And it felt like only yesterday that we’d been together. Easy to pick up right where we leave off with very special friends, isn’t it? Dena doesn’t look one bit different from the earlier photo. Don’t think I can say the same for me. 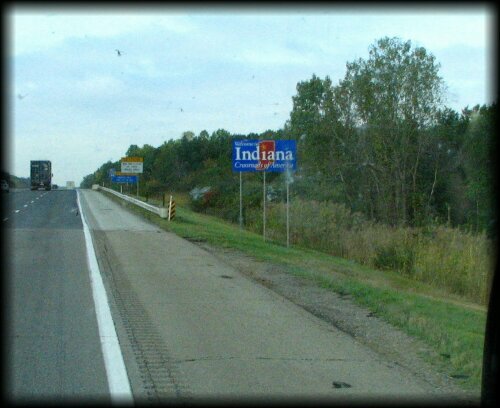 From Dena’s we passed through Indiana…..
…..and on to Illinois. Where we now sit in the middle of a cornfield. Sort of. At my Dear Sister, Cindy’s farm. I really do have a view of cornfields out our big front windows. I had planned to continue this blog with pics of Isaac’s football game. And pics of my view. And the sunset tonight. But I think the visit with Cindy and family deserves its own blog post. So I’m saving those for later. 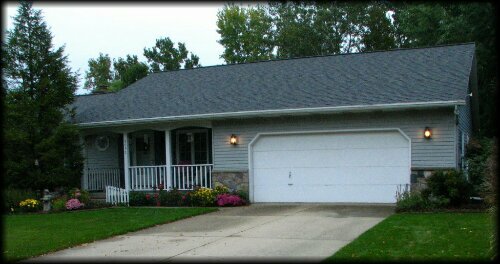 Today we drove around and I took pics of my childhood home. Even a couple inside as the new owner invited us in when she came out to see why we were stopped in front of her house taking pics. I hadn’t been inside since my folks moved to Colorado in 1991. What fun! And tomorrow Dear Hubby and I are going to ride in the combine with my Dear Niece’s Hubby. I think there will have to be blogging about that day for sure. 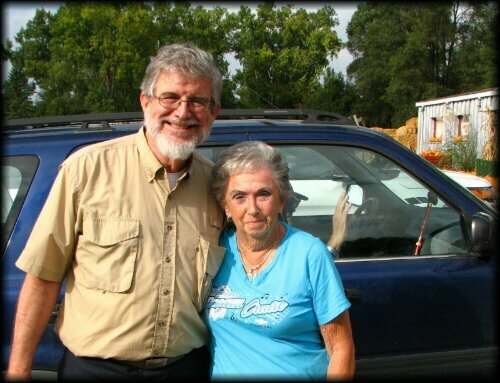 Farmer’s for a day… me and Dear Hubby. You know the definition of a farmer, right? A man out standing in his field. Who knows? We might just decide to become farmers and not make it back to Texas. But winter is coming. There is a chill in the air as of yesterday. I think we will be ready to head further south very, very soon. This entry was posted in vacation and tagged cornfields, family, friends, travel. Bookmark the permalink. 4 Responses to A Recap – Friends, Family, More Friends, More Family – and Fun! You know, Barb, the Bible tells us not to covet, but I am having a real hard time with that seeing all your great pics along with those Timbits. I am so glad you are having a great time and enjoying your slow trip back to the great state of Texas. Just so you know, we had a cold snap this past weekend and actually needed coats. However, in true form, the temps were back in the 80’s yesterday. Miss you, sweet friend. See you soon. Have a great continued trip! Enjoying it with you. You even got the good mug. Timmies has gotten to you. And in you. 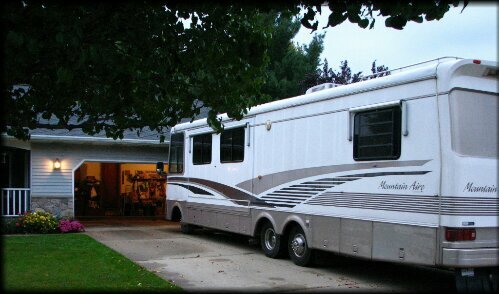 That’s quite a trip you are taking, I’m coveting your RV, a van is just doesn’t seem adequate any more. 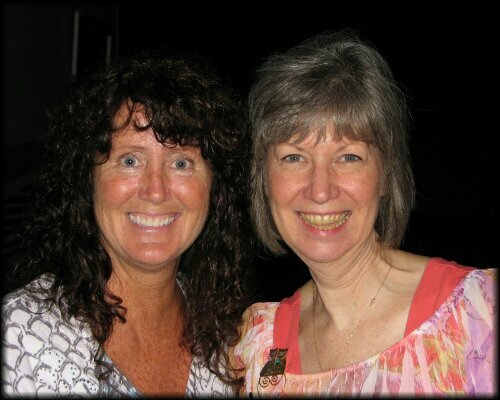 What a great trip, Barb–and another fun blog! Please don’t become farmers, lol!